Day 1 – National Blog Posting Month. Welcome to another installment of National Blog Posting Month (NaBloPoMo), where bloggers post daily for the entire month. It’s a big commitment but one I have succeeded at in the past and I hope to be able to keep it up again this year. I can promise my readers there will be talk of running, life as a mother, being a doctor and running a practice and being a daughter to elderly parents. So, probably nothing terrible new. Ha! It’s the day after Halloween and it’s not even 10am and I think my kids have asked for candy about a hundred times. Right now I’d rather stick a fork in my eye than hear them ask for candy one more time. The clocks turned back an hour last night. 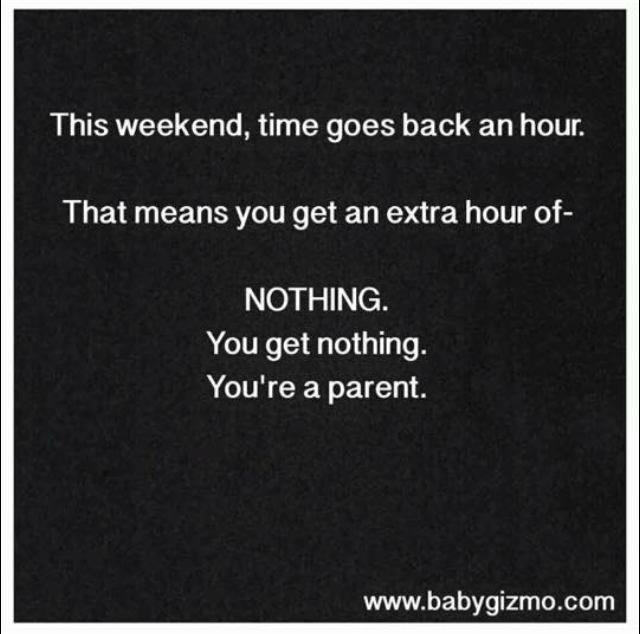 Daylight savings time. I can vaguely remember it the thought of an extra hour of sleep was heaven. Not so much anymore. In fact, it’s a horrible joke played on many parents. An extra hour of sleep? What a joke. The toddler was up just before 5 am. And when I say up, I mean awake and ready to meet the world. There was no way he was falling back asleep. Then the older two, I could hear talking around 5:45 am. My older son came into my room and gave me a kiss – the distinct smell of chocolate on his breath. It would appear they sneaked some candy in their room before going to bed last night. Well played, kids. Well played.